We understand yawning to be a sign of tiredness or boredom, but it’s not always the case. A horse that yawns, or curls his top lip regularly (The Flehmen response), could actually be affected by gastric disturbances. This is a common behaviour for horses that smell a unknown, or particularly strong smell, but it needs investigation if a horse displays the habit it while eating. 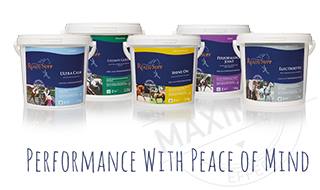 ReadySupp’s Grumpy Girth and Digestive Care offer highly effective, comprehensive digestive support if needed. Ask us about it today.